Intense Pulsed Light (IPL) Skin Rejuvenation Improves Common Cosmetic Concerns And Revitalizes Skin With Minimal Risk And Virtually No Downtime. IPL is a "lunchtime" procedure and An extremely popular treatment to rejuvenate and revitalize skin, Creating A more youthful appearance. Intense Pulsed Light devices pass varying strengths of light into the skin and damaged skin cells absorb the light energy and convert it to heat. The light source is concentrated to target its energy into the dermis to treat discolorations, unsightly facial veins, redness and provide an overall rejuvenated effect to your skin. These types of devices repair and improve a wide array of cosmetic concerns with meaningful results over a short time period. Intense Pulsed Light Skin Rejuvenation uses a concentrated light source to target power deep down into the dermis without injuring the surface of the skin, to improve a range of cosmetic concerns including: discolorations, unsightly veins, and redness. IPL® Skin Rejuvenation has the added benefit of providing an overall "rejuvenated" effect to the skin. Because the surface layers of the skin remain intact there is minimal downtime, less risk and discomfort than more powerful treatments such as the Pixel fractional laser skin resurfacing procedure. Intense Pulsed Light Skin Rejuvenation is used to successfully treat a wide array of cosmetic concerns. Individuals with deeper fine lines & wrinkles, crepey skin, discoloration and uneven texture or tone should consider a skin resurfacing procedure or a combination treatment such as Laser360 that can combine skin tightening, intense pulsed light and laser resurfacing into a single procedure. 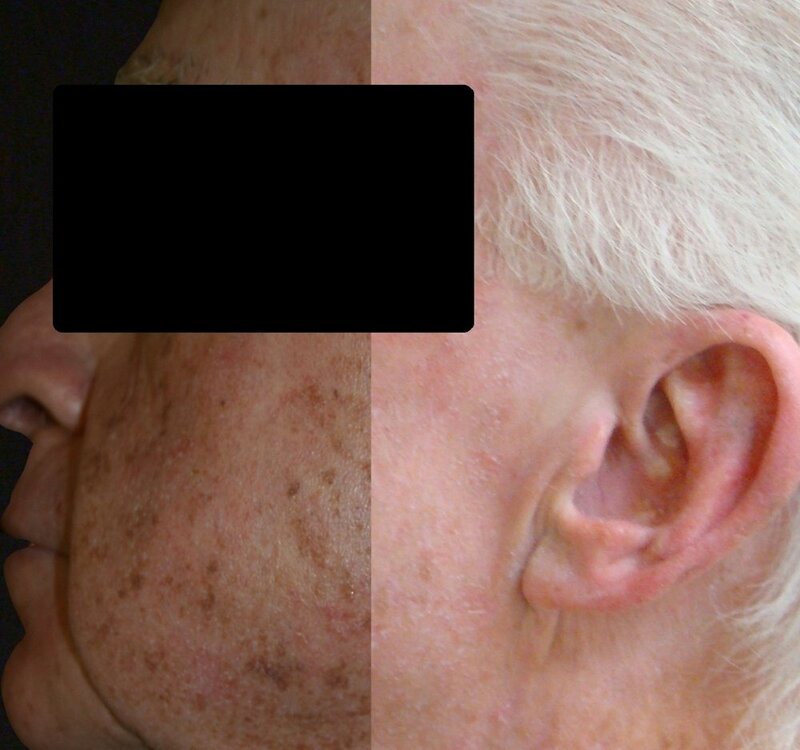 Completion of a consultation with a skin care specialist. During this consultation discuss patient concerns and goals. Develop a comprehensive plan to reach those goals that includes Spa 35 procedures and at home lifestyle changes and skin care habits. Schedule the Intense Pulsed Light procedure. Pick a time when sun exposure to the treatment area has been minimized to decrease active melanin production at the time of the procedure. Have the procedure done. It will take about forty-five minutes. The pulses have been described as "hot rubber bands being snapped on the face". It's not excruciating, but there are more enjoyable things to do with your day. Your skin may turn very red and flaky after the procedure, you may have crusting of the darker spots. Follow the post procedure instructions. Particularly important is avoidance of sun exposure. 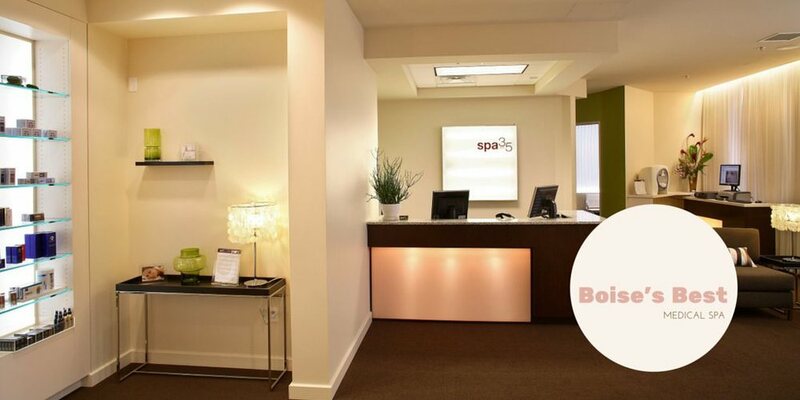 Experience - Spa 35 Med Spa has been helping clients Look and Feel their Best for tweleve years. The device that delivers Intense Pulsed Light, the Harmony®XL System, has been cleared by the FDA for more than 60 aesthetic and medical applications. Intense Pulsed Light is one of those approved procedures. IPL provides comprehensive skin rejuvenation, improving skin color, wrinkles and skin texture. As with many cosmetic treatments there are risks associated with IPL, such as burning. Details on risks and contraindications are provided as part of the IPL consultation and detailed in the informed consent. Is there "down time" after an IPL procedure? Most patients can return to their daily activities immediately after the procedure. You may be red and/or flaky (particularly age spots) after the IPL treatment. Makeup is normally sufficient to cover up most IPL effects. You should avoid excessive exercise and sun exposure after the treatment. Details on risks and contraindications are provided as part of the IPL consultation and detailed in the informed consent. How much does IPL costs? IPL is usually sold in an and initial series of three treatments for $499-$999 depending upon the treatment area. Annual touch-ups are recommended and they can cost between $249 and $349.